We've lived in South Orange County for about five years now, and I lived in North Orange County for about a year and a half 10 years ago, and I LOVE IT HERE. We love it here. 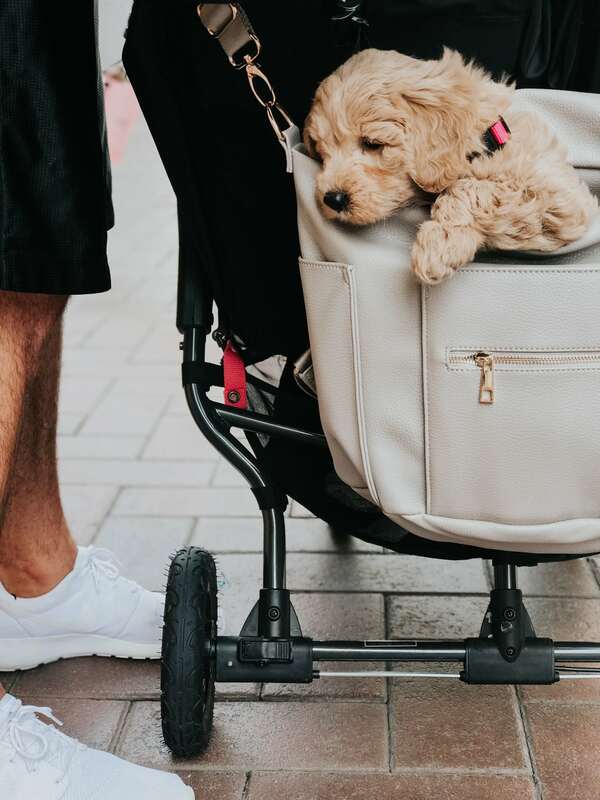 There's so many beautiful places to go, fun things to do, AMAZING food, and hello – THE BEACH! It seems like every time I have a good friend or family member coming into town, they hit us up for our recommendations on favorite places to eat, or where to stay, or what the best beaches are and I end up sending them a text that would rival War and Peace in length! 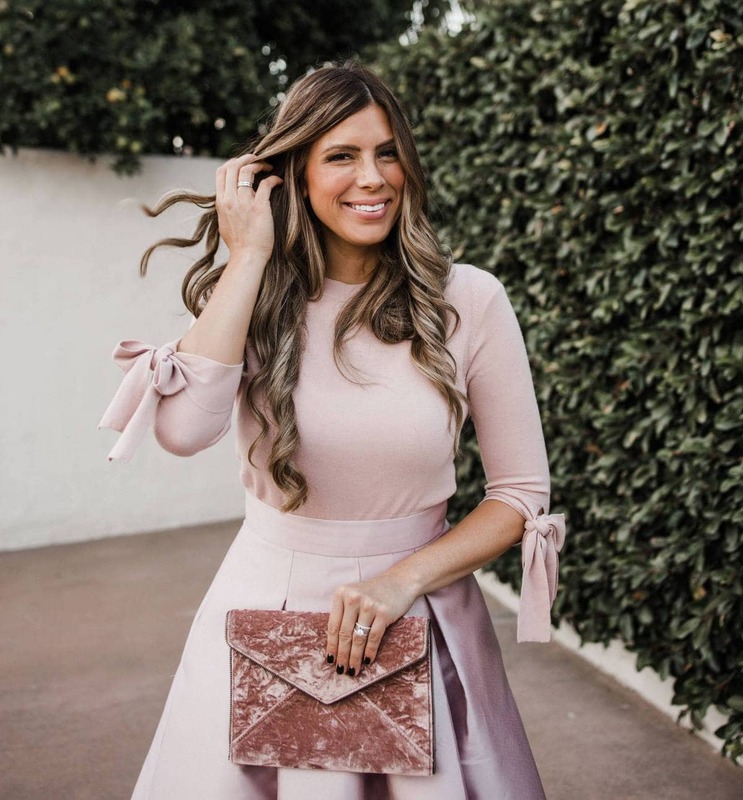 SO today I'm finally putting together my local's guide to what to do in Orange County, including some of our favorite things to do other than the beach, yummiest food, best places to stay, and of course, a treasure map to the best beaches. I'll just get this out of the way and say come see us in Orange County anytime EXCEPT May or June. I always feel so bad when we get visitors at that time! There's this icky thing here in Southern California called “Gray May” and “June Gloom” and it's typically just chilly, foggy, and the sun doesn't come out usually until at least noon or later in the day. It's like summer hybernates for those couple of months. But come Fourth of July, BAM – summer's always here in full force, and it sticks around through October and sometimes well into November. ​Now that we've been here almost five years, we've done a fair amount of little staycations to celebrate a birthday, or I've treated my team to a night away, or I've hosted girlfriends who've come into town for a night ON the beach before we stay at my house, etc. It's been a fun way to gradually try out a lot of the nicer hotels in this area and I can now pretty confidently give my favorite recommendations! 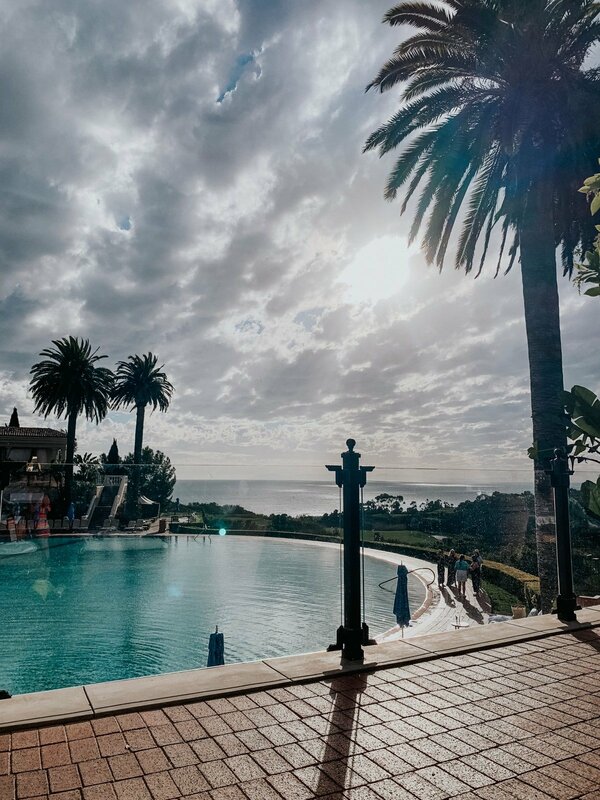 BEST 5-star: Hands down my favorite place to really treat myself has been the Pelican Hill Resort. The property is so beautiful and the rooms feel like a home away from home, with little fireplaces and a gorgeous view of Newport Coast. 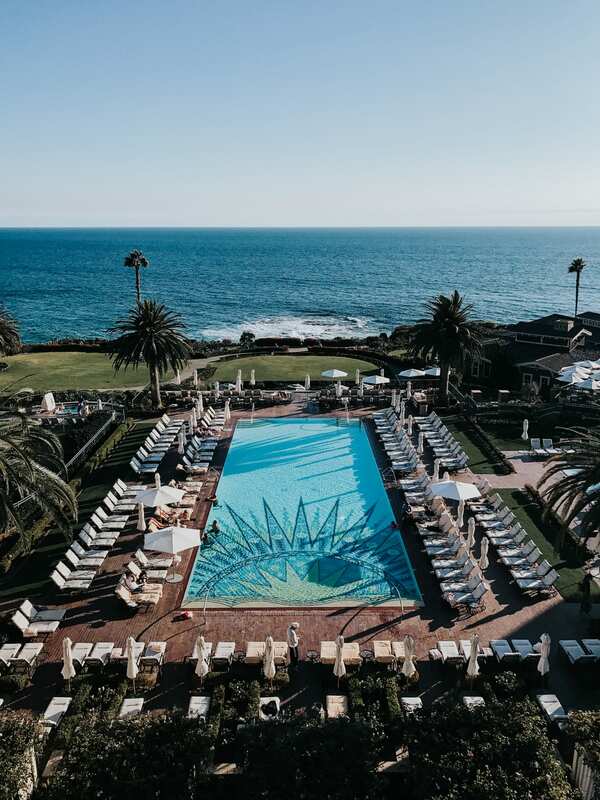 The pool is incredibly beautiful and they'll shuttle you down to the beach at Crystal Cove which, in my opinion, is THE most beautiful beach in all of Orange County. The food here is exceptional too! I had a poke bowl by the pool on my birthday and I think it was the best poke bowl I've ever had. 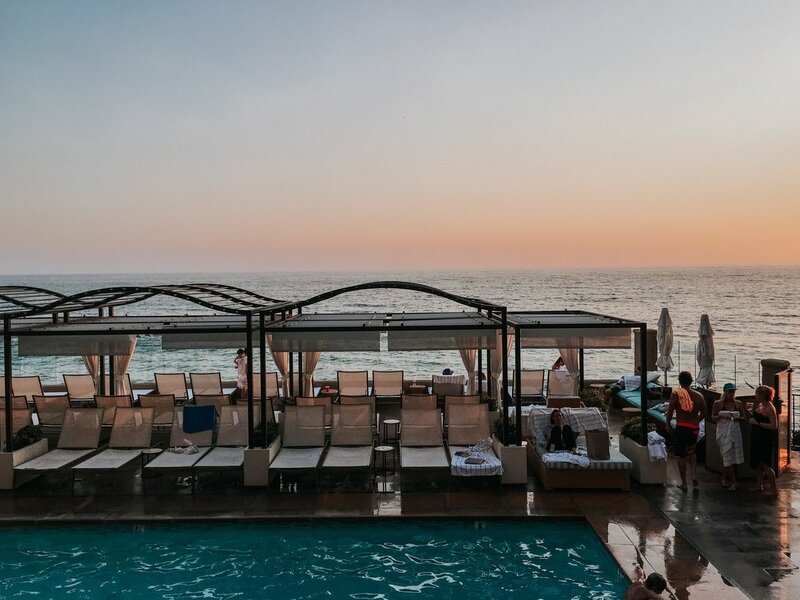 If you're looking for the convenience of the beach and the pool within just a few steps, then the Montage is my other favorite 5-star option! Incredible pool and beach, the rooms are nice but I like Pelican Hill's rooms better. 4-star recommendations: As long as you don't come during a heat wave (usually July – Oct), then Surf and Sand is a super fun place to stay! I mentioned avoiding the heat wave here because they don't have AC so it can get pretty stuffy at night. But the whole entire resort is outdoors (even the hallways of the hotel!) and you can sleep with your windows open and listen to the waves crash all night. Ahhhh. 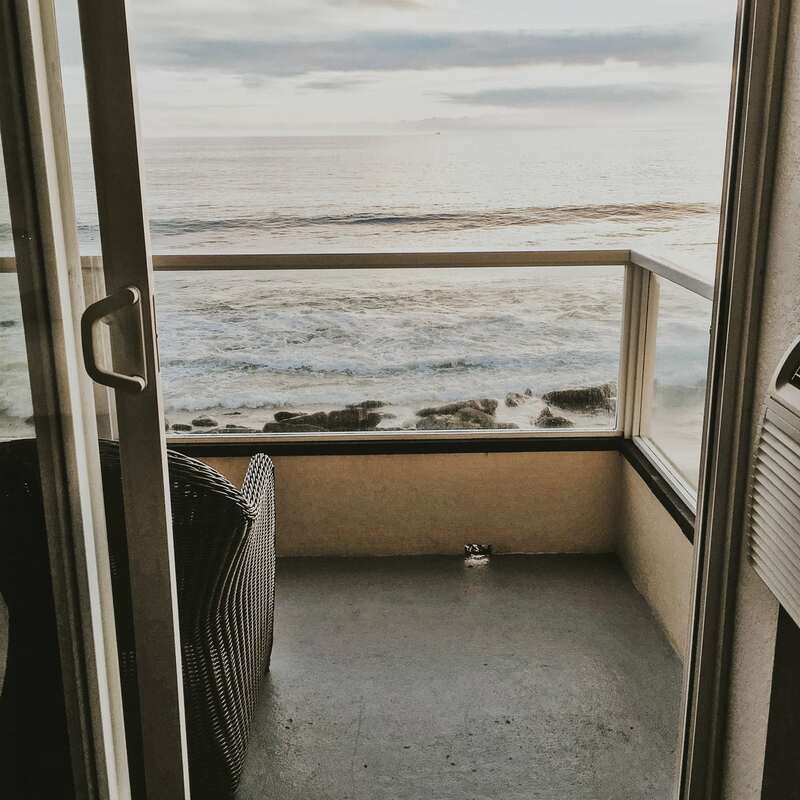 Pacific Edge Hotel: If you're looking for a budget find that's still oceanfront, this is my recommendation! 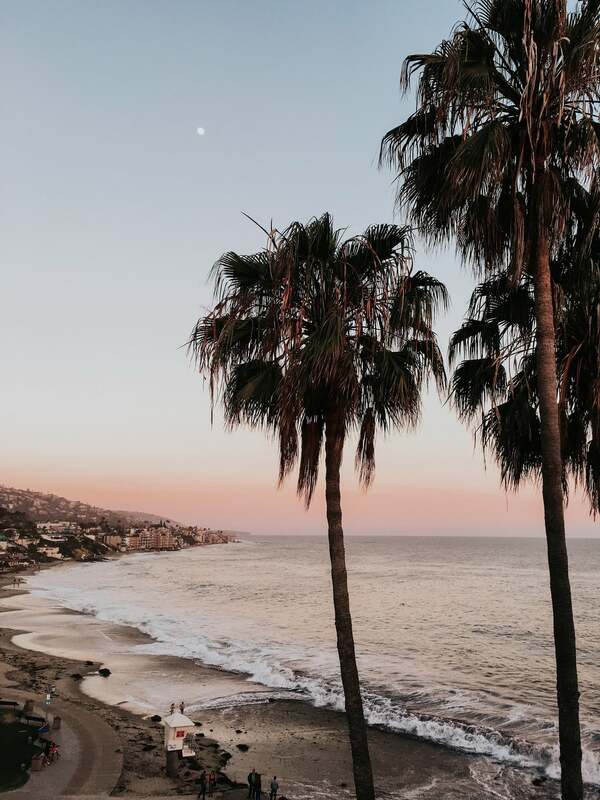 I've stayed here before and while it's no four seasons, it's as close to the ocean as you'll get at any hotel in Orange County! Bonus: I love the restaurant that's on property: Driftwood Kitchen. ​Crystal Cove Beach Cottages: If you're lucky enough to snag a spot in one of these, they're extremely iconic, picturesque and inexpensive!! The spots get filled up in seconds each month when they open up for booking though, so you have to really plan ahead! 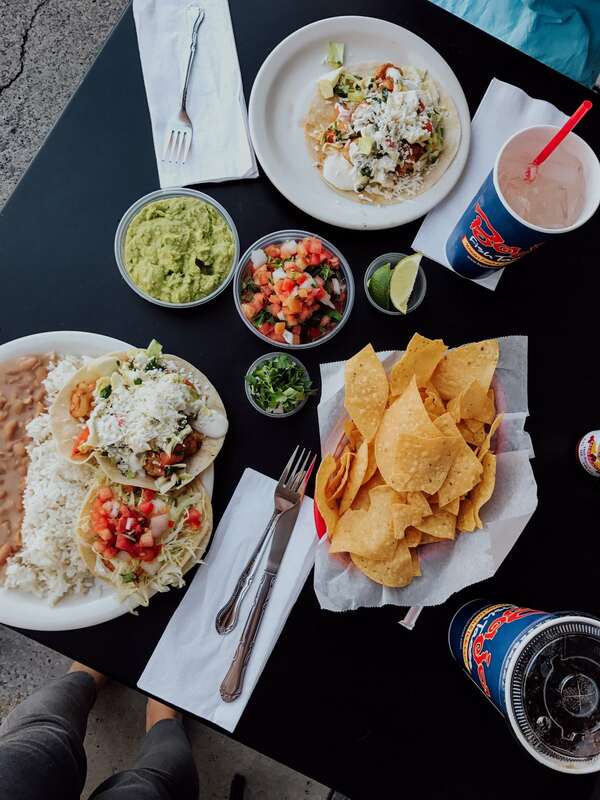 Baja Fish Tacos: Another family favorite that everyone requests when they come to town. This is an amazing fast casual place with fish tacos that will blow your mind! I actually love their shrimp tacos even more. And their rice … I don't know WHAT they put in that rice but it is heavenly. My order: shrimp bowl, bravo style. It's an off-the-menu secret that a friend told me about when she brought me dinner after I had Millie, but it's basically on a bed of cabbage with cojito cheese and some type of secret sauce and I haven't ordered anything since! BJ's: A really fun, family friendly place to take visitors or go with a big group! They have really yummy deep dish pizzas, salads, pastas, and they're famous for their pizookes (a warm cookie with ice cream on top). YUM. A chain that you can find in most beach cities in Southern California. 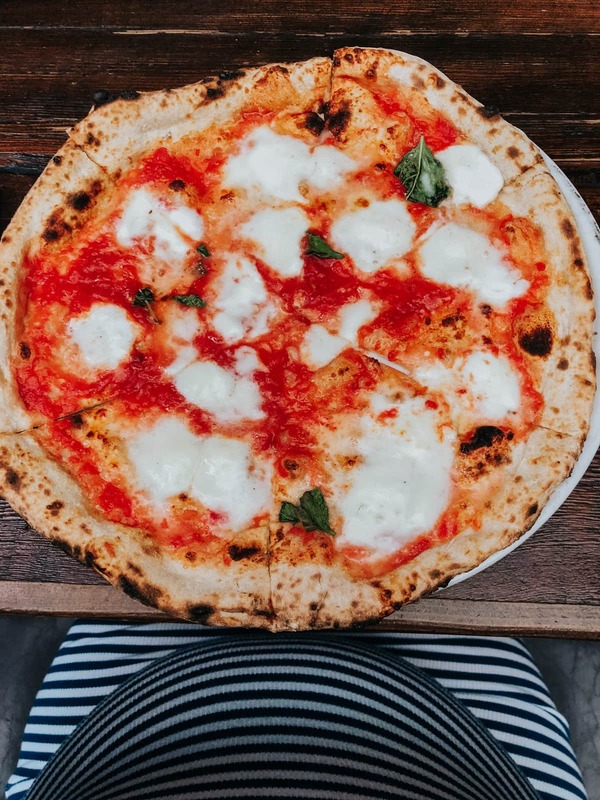 ​Eat Chow: This was my #1 crave during my pregnancy with Millie. 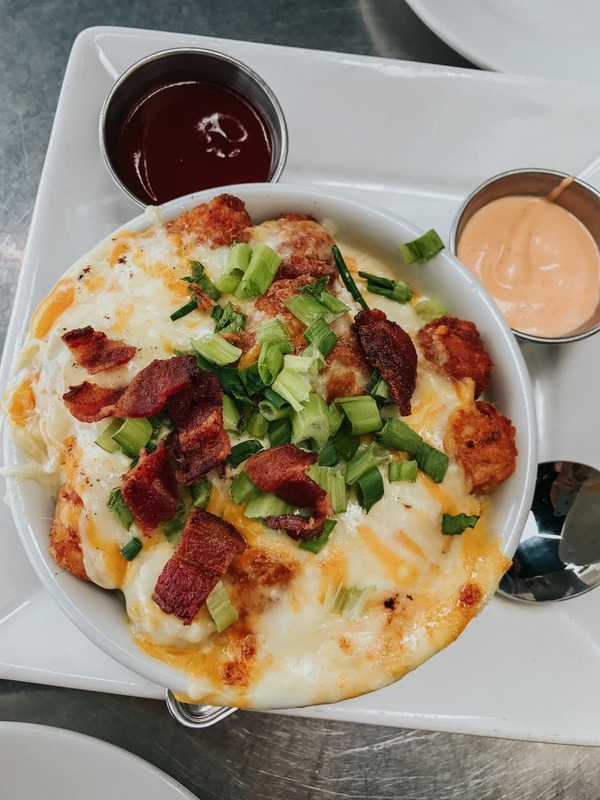 Everything there is good but their cheesy tots (yes, tater tots!!) will change your LIFE. ​Riders Club Burgers: One of the best burgers ever. Neil LOVES this place. Every time we eat here I half expect Guy Fieri to show up with a camera crew because it's right up his alley. Bagel Shack: An iconic San Clemente or San Juan Capistrano spot that's always a crowd pleaser. We love their bagel sandwiches!! My order is the hot ham and swiss on a cheddar bagel, or in the morning I like the Old Man's. If you're an avocado lover you will too! ​Bear Flag Fish Newport Beach: Super yummy fresh fish tacos! A fun fast casual spot that's family friendly. Ramos House Cafe: Probably my favorite breakfast spot in all of Orange County. The food is insane and changes seasonally. Such a perfect spot for adults for breakfast or lunch. They are closed on Wednesdays, and they don't love little kids or laptops so it's not a very family friendly restaurant or a place to go hang out and hook up to wifi for a business lunch. Go for amazing food and good conversation. Javier's : Our favorite Mexican food in Orange County!! I like going to the Crystal Cove location because the views in that area are so picturesque, oh and once I met all of the Real Housewives of Orange County here while they were filming haha. If you happen to be at the Irvine Spectrum Mall the food is just as good at that location, and if you're ever delayed or waiting around in the John Wayne (OC) airport, the Javi's there is also excellent! ​R&D Kitchen: This little gem is inside the Fashion Island Mall and they have the best fried chicken sandwich I've ever had in my life! They also have super yummy salads. A great spot for girls lunch. Maestro's : If you need somewhere nice and fancy to dine, this is my recommendation! I've only eaten here once for an anniversary but it was amazing and their butter cake is the talk of the town around here. Nick's: Speaking of butter cake, these guys make a mean butter cake too, and all of their food is super good. This is one of mine and Neil's favorite date spots, but you do have to either make a reservation or get here EARLY (at both the San Clemente or Laguna locations) because the waits on the weekends especially are 2-2.5 hours after about 5:30 p.m. Their sister restaurant, South of Nick's, is also really yummy but usually equally as busy. ​South Swell Ice Cream: Fun place to grab dessert after dinner in San Clemente! Everything is very instagrammable and so SO good. If you're trying to eat a little more healthy this is a fun dessert spot because you can get a frozen banana instead of the ice cream bar. 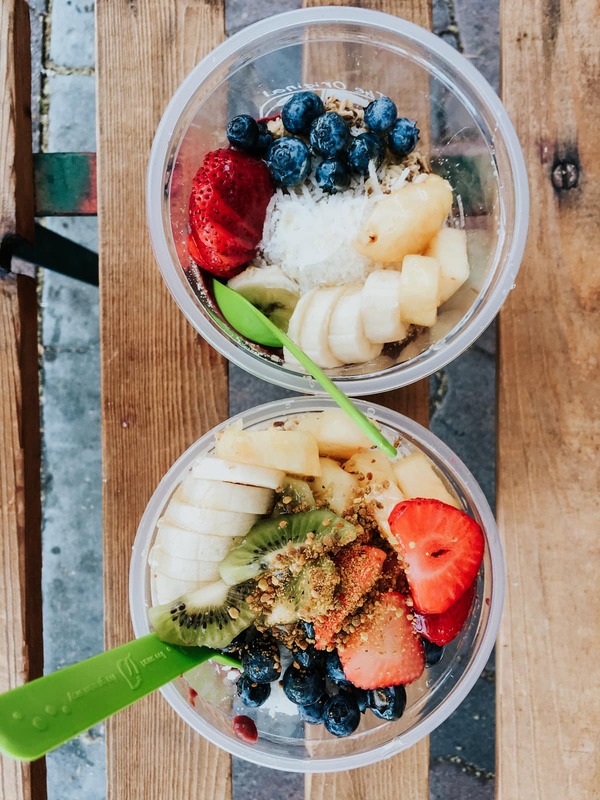 Active Culture: If you love HEALTHY food, this is a must! 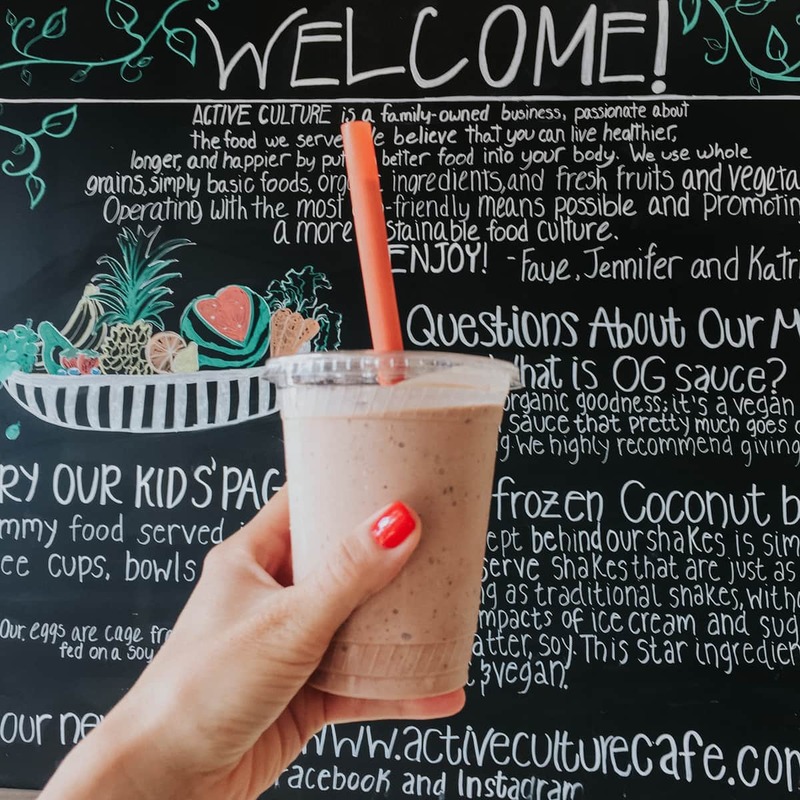 Active culture's OG bowl and “not your mama's nachos” are some of my favorite things to order, oh and their coconut shake. But everything's good!! 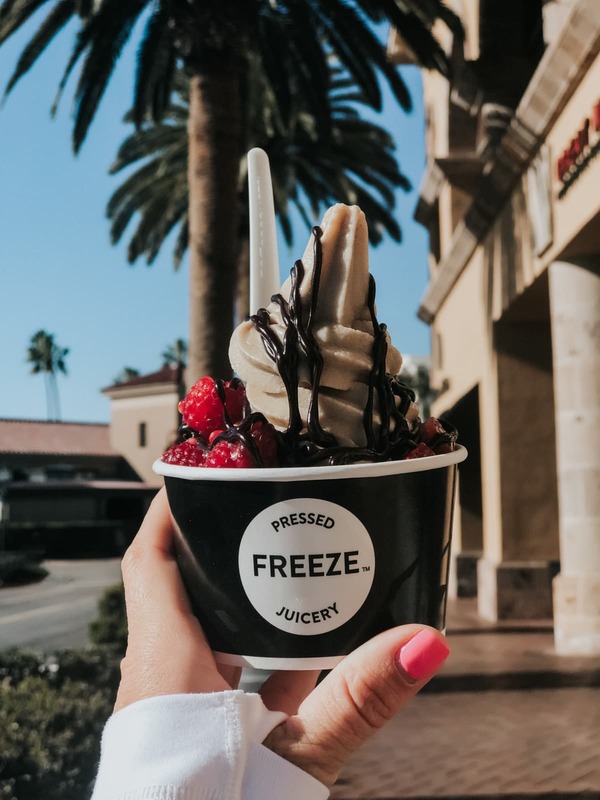 Pressed Juicery: Another mega healthy spot that to be honest isn't my very favorite BUT that's because if I'm gonna have a treat, I want it to be a TREAT. Most of my friends are obsessed with this place! They're known for their fro-yo and hot fudge that are sweetened with dates. 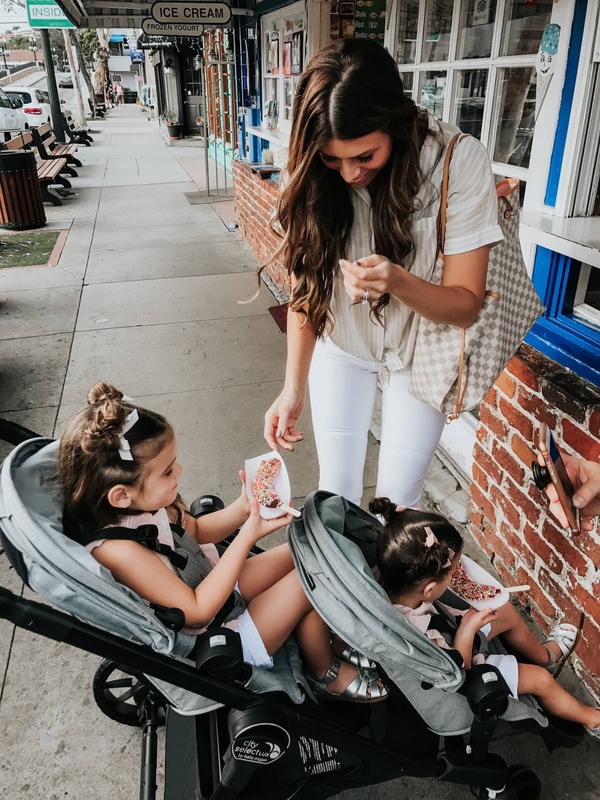 ​Sprinkles Ice Cream: One of my fave ice cream spots! Their flavors are always extra yummy and they change all the time. 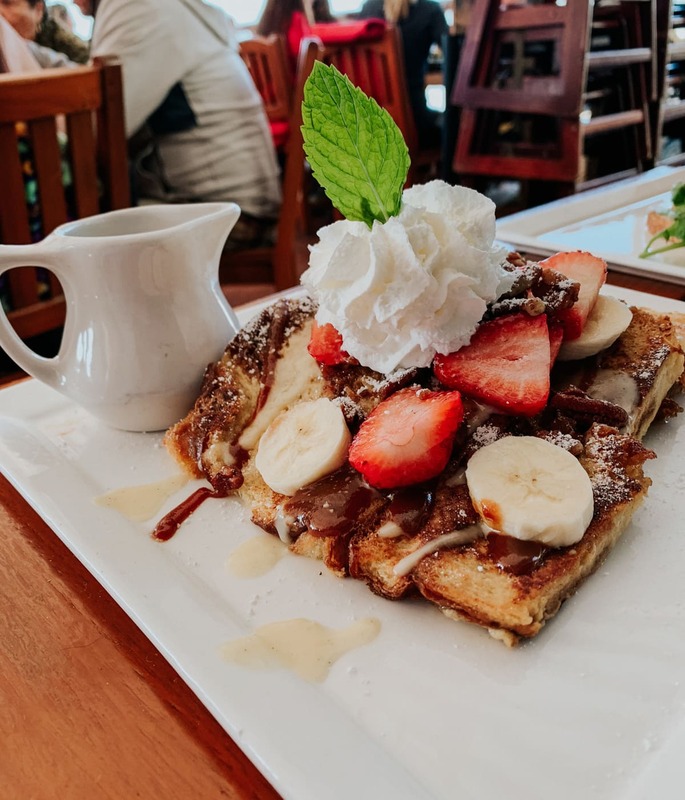 ​The Rusty Pelican: If you're saying to yourself, “we're next to the ocean, we SHOULD eat some good seafood while we're here…” then I recommend The Rusty Pelican. It's a nicer spot but perfect for a birthday dinner or something where you want to treat yourself to really REALLY good fish! Beachcomber: SUPER delicious and in extremely high demand! They do take reservations, but if you want to eat there for breakfast (especially during the summer or spring break) go EARLY. On a Saturday in the summer the wait can get up to 2+ hours for breakfast and they stop serving breakfast at 11 (I think?!) and they're pretty strict about that, but the good news is, lunch is delicious too and there's a beach right there for kids to play on if you have to wait. It's the most beautiful setting where you're sitting as close to the waves as possible, AND you're eating incredible food? WIN-WIN. 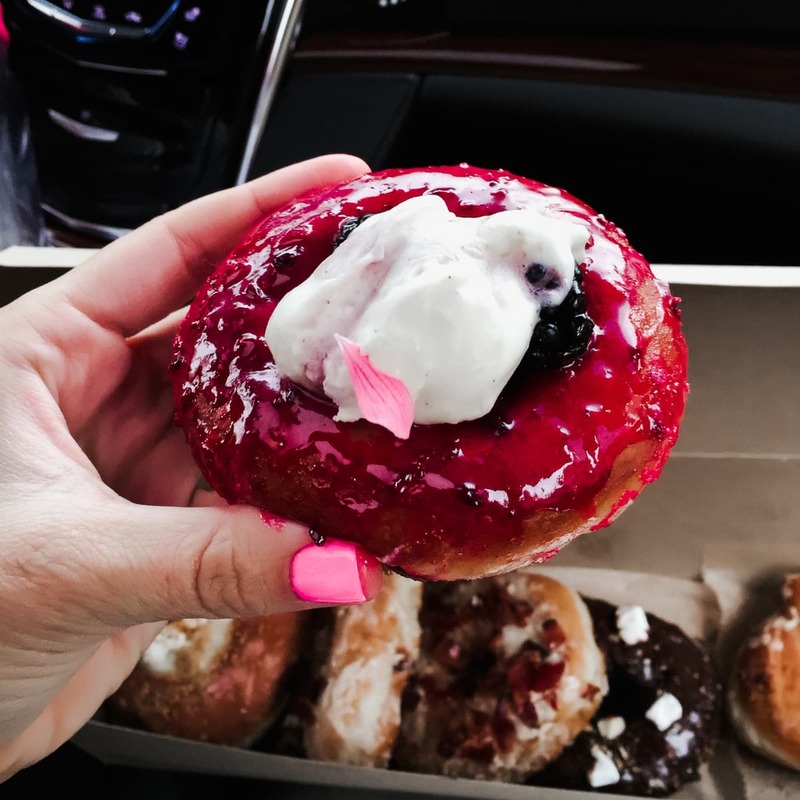 Sidecar Doughnuts: If you're a doughnut connoisseur, you MUST go to sidecar doughnuts. All of their doughnuts are to die for but I always get whatever's most fresh, and sample it on the way back to my car. 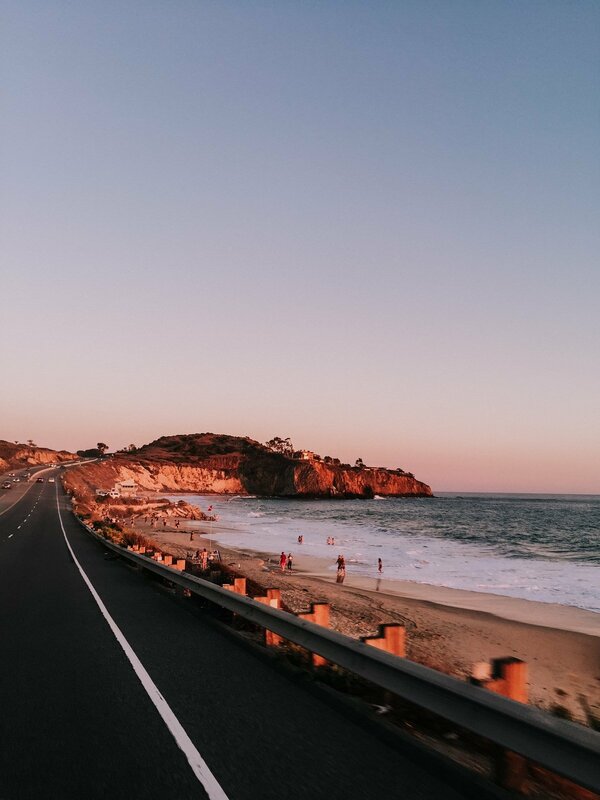 Drive down PCH: This might seem like a no-brainer but it's FREE and beautiful and if you have just a little extra time to get from point A to point B, take the scenic route. 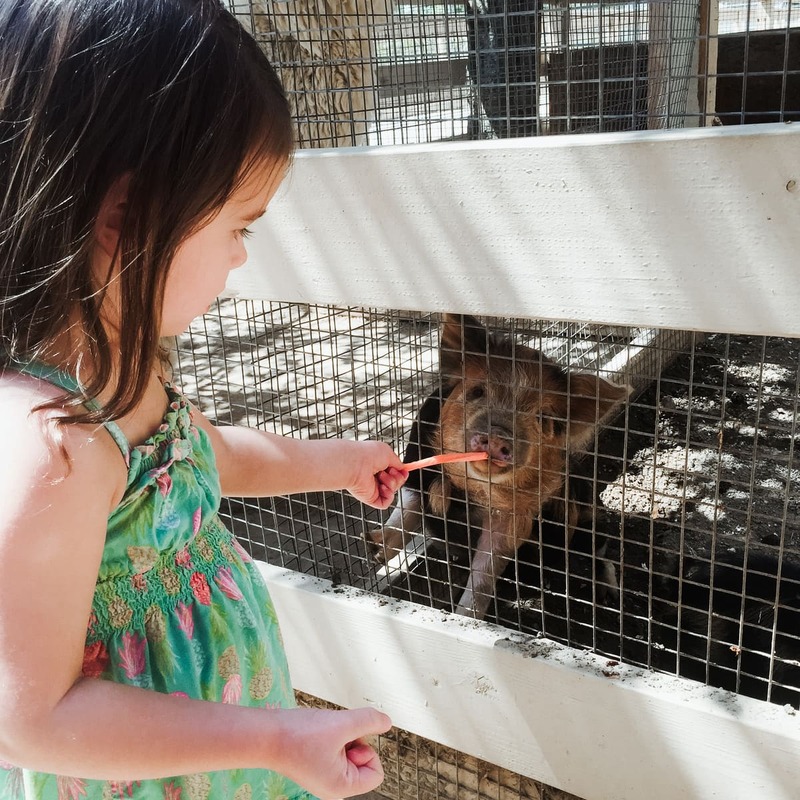 ZOOMARS Petting Zoo San Juan: Our kids absolutely love this place! 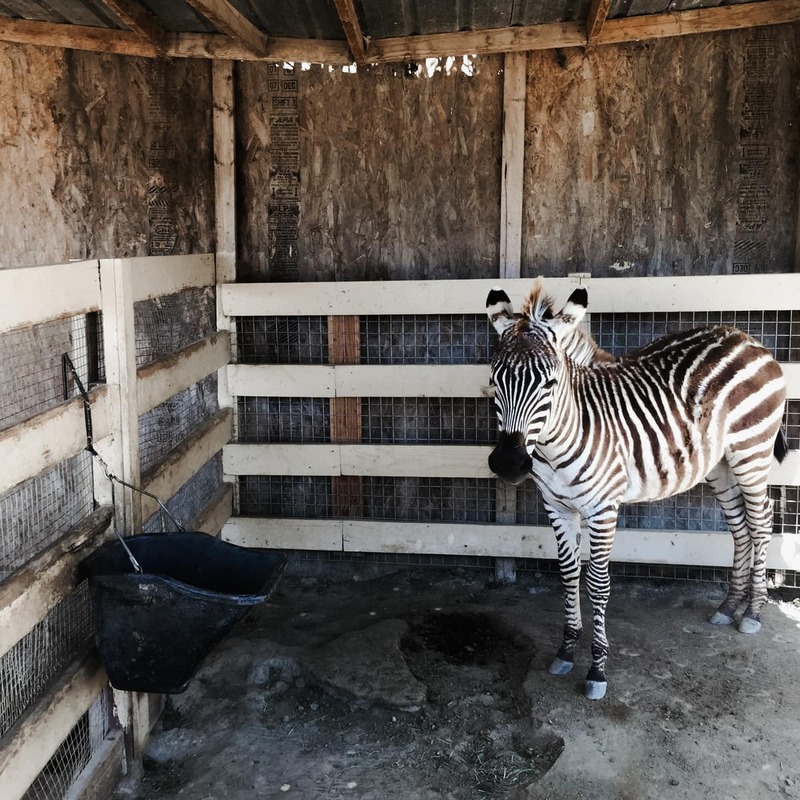 It's so cute and fun and they have small animals for petting, feeding, and even offer pony rides. Pretend City: A fun option if you get rained out of a beach day and have antsy toddlers or young kids! Get Air: Our kids love getting their wiggles out here too! It gets busy on rainy days but it's a fun place to get some energy out. Pageant of the Masters: I haven't been to this but Neil took his parents a couple years ago and they loved it! It's super well-known and if you're into theater it's one of the best productions in this area. Segerstrom Arts Center: A super nice venue for things like traveling Broadway musicals and concerts. They hosted Hamilton last year, and I saw the Mormon Tabernacle Choir there last June and it was incredible!! Disneyland: Yes, I know, OBVIOUS but I had to mention it! We are total disnerds and LOVE Disneyland!! 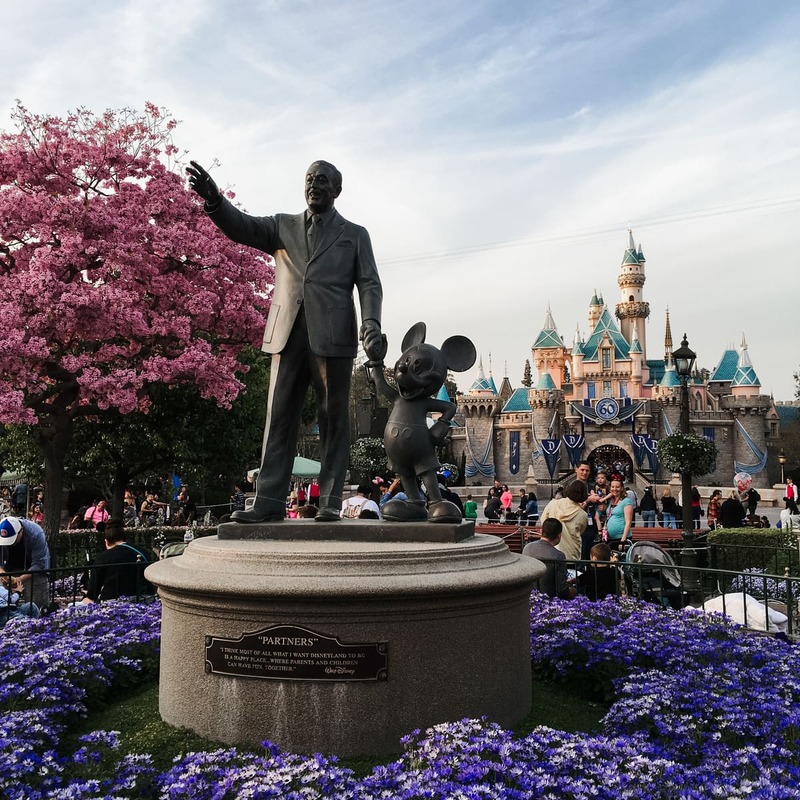 You can read my season pass holder insider tips here on on Disneyland with kids, Disneyland date night, and Disneyland todder/baby friendly rides. Angel's baseball game at Angel Stadium: If you're here at the right time and you love baseball, this is a really fun night out! The stadium is really easy to get in and out of and has great parking, unlike some of our MLB neighbors a bit north (coughDODGERScough). Close to Disneyland too. Rent bikes at Newport Pier: This is a favorite pastime for our family! We rented bikes before everyone had their own, and there's a very pretty bike path where you can ride all the way down Newport Beach. Mission Viejo Mall: This is an awesome mall if you just need ALL the stores, but you don't want it to be TOO ginormous. Their Nordstrom is big but not so huge you'll feel overwhelmed, and they have a great food court. ​Rainbow Flip Flop Outlet: A fun place to go get a souvenir (or take-home gift) that anyone would love, for a great deal! Back Bay Loop Trail: If you love going on a scenic run or power walk, this is a beautiful loop that a lot of locals really enjoy. ​San Clemente Beach Trail: The most beautiful beach trail! This is always top of my mom's to-do list when she comes to visit. It's 5 miles if you go from the north parking lot all the way to the south parking lot and back. 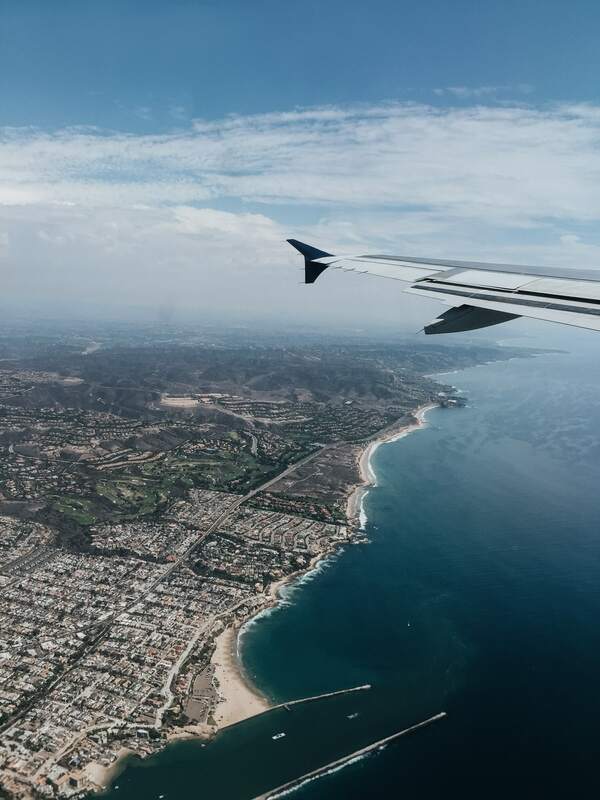 There truly are SO many beautiful beaches in Orange County that it's hard to pick just a few, but these are the ones that I recommend most to people coming in from out of town, that are easy to find, easy to park at, most of these have bathrooms, and are the prettiest and most family-friendly. 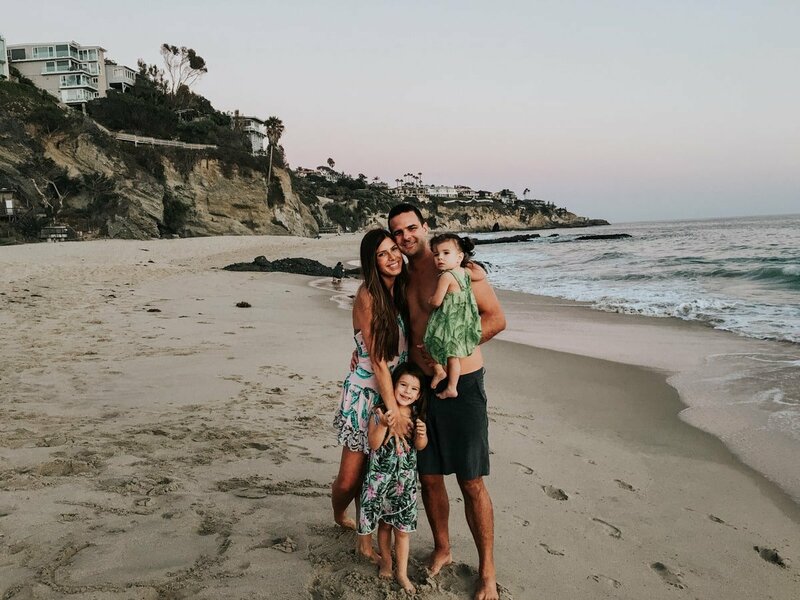 Crystal Cove: Such a beautiful place for a family walk or down to the beach to watch the sunset. The tide pools are fun too! Montage (Treasure Island Beach): I think this is the prettiest beach you can “go to the beach” at for the day. It's the same beach used by the Montage so it can get crowded in Summer months, but it's breathtakingly picturesque. 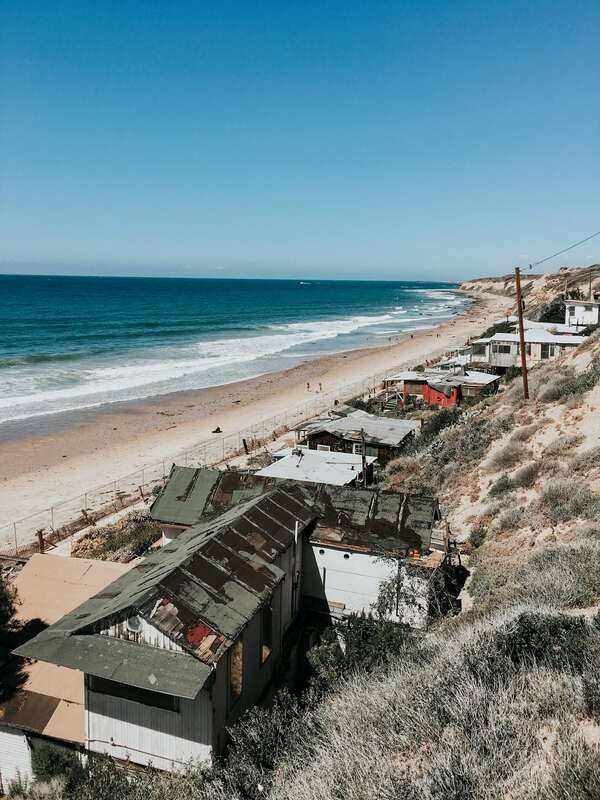 Calafia: One of my favorite beaches to tell visitors to go to, because it's clean, pretty, easy to find, easy to park at, has bathrooms, and a great little snack shack in the summer! 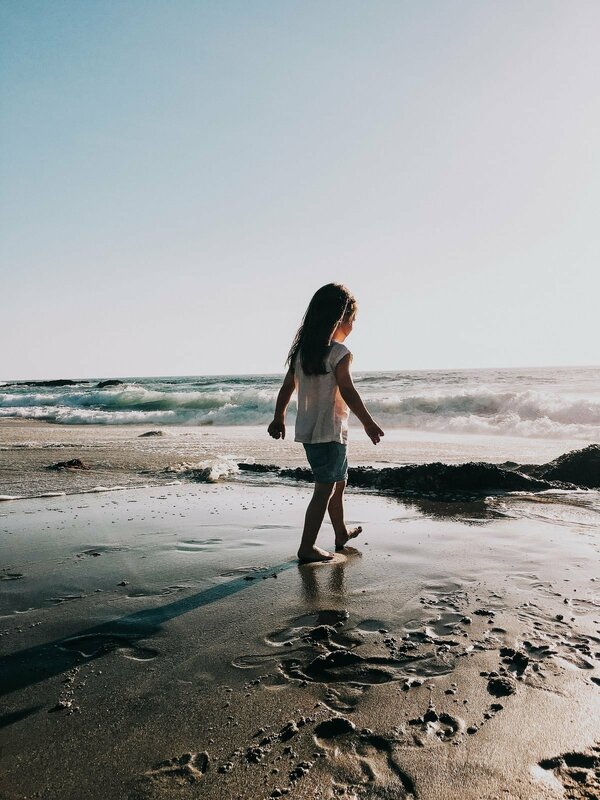 Baby Beach: If you have babies and toddlers this beach is a dream! It's more of a bay so you won't have to be paranoid of them getting knocked over by a wave. Lots of young moms hang out here in warm months and it can get mega crowded during the Summer! Thousand Steps: A really beautiful Laguna Beach spot that used to be kind of a “locals only” type of beach but now a lot of tourists find their way down here too. There are LOTS of steps (it feels like a thousand! but it's actually 200 something) leading down to this beach, but the mild waves and beautiful beach is worth it to me. For sure one of my fave spots. San Clemente Pier Beach: If you're looking for somewhere to have lunch right on the water, set up a towel and chair and umbrella, AND watch surfers all day, this is your spot. I hope this helps you find some fun things to do while you're in our little corner of paradise!! Have you been to Orange County? Is there anything you'd add to the list? Let me know below! MAJOR deal on Anastasia eyebrow products + eyebrow tips!